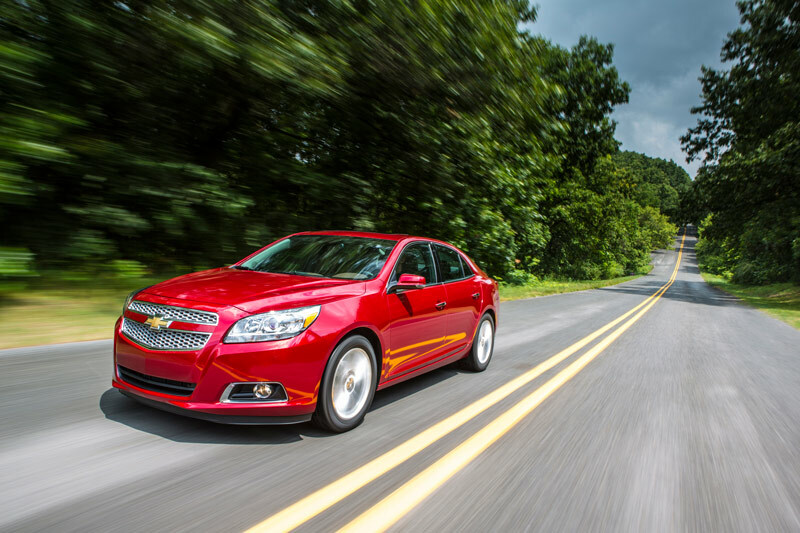 The eighth generation Malibu is all-new for 2013, and is designed to be Chevrolet’s first global midsize sedan. Built with a diverse customer base in mind, it will eventually be sold in almost 100 countries and starts at around $22,000 if equipped with base trim and powertrain. In the US market the Malibu comes in LS, LT and LTZ packages. Our 2LZ and LTZ-trimmed test car came in at around $35,000, but with nice power from the Ecotec 2.0 liter turbo, solid looks and plenty of amenities, it felt like we were definitely getting what we paid for. 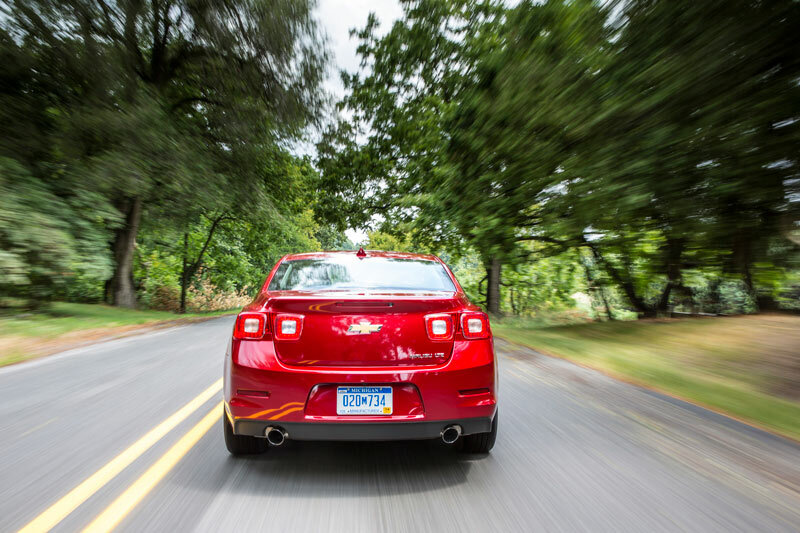 Chevy’s clearly out to win new customers with this current iteration of the Malibu, but it fits in a market segment that’s packed with competition. It makes us wonder, then, is this a car that can replace your old Accord? 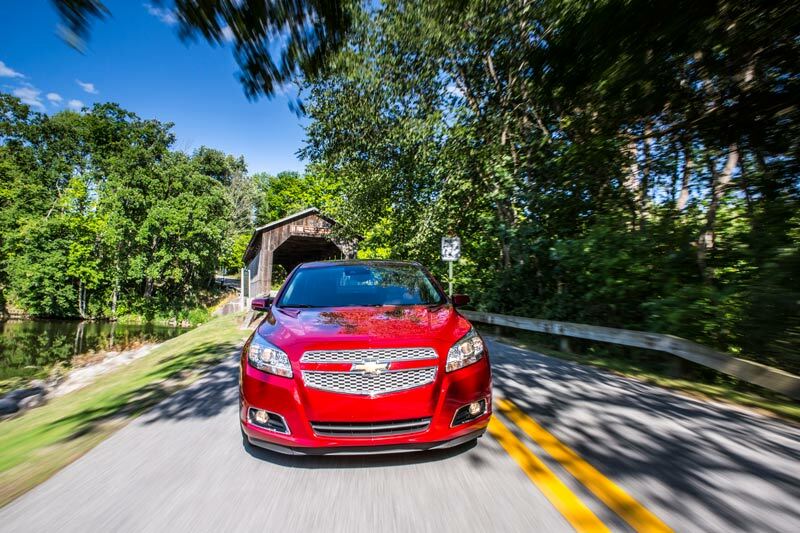 We were able to soak up some serious miles on our test car during a weekend away to find out what’s what with this offering from Chevy. 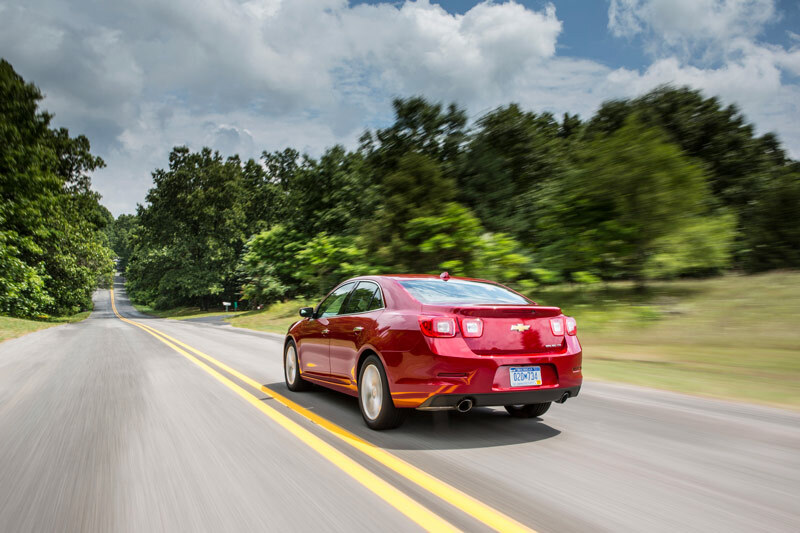 GM boasts that the new Malibu has the best aerodynamics in its segment and that its drag coefficient comes in at 0.29, just shy of the eco-friendly Volt’s 0.28. The Malibu still manages to be a somewhat sharp-looking car, though, and even if it looks bland from some angles (the profile, for instance), it still comes out looking better overall than opponents like the Chrysler 200 or the Nissan Altima. From the front, the Malibu certainly looks more sporty, aggressive even, and this is partly because the new model is more than two inches wider than the previous Malibu. Behind that handsome front end is a system that closes airflow through the lower grille opening when air intake is least needed. This is something found on other vehicles like the Cadillac ATS, and it is there to further improve aerodynamics and of course fuel economy. 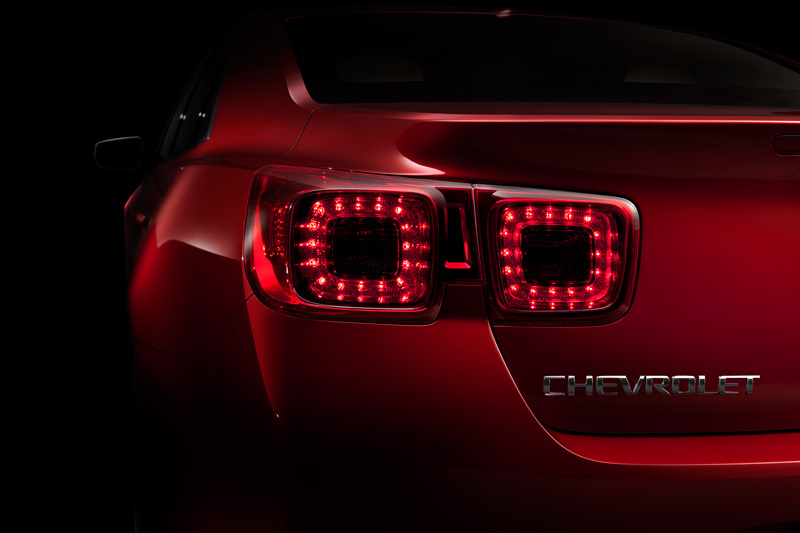 From the back, the new car is also nicely complimented by Camaro-esque tail lights that will really stand out at night, and thanks to the LTZ package these tail lights are LED’s. LTZ also gets you chrome-tipped exhaust and handsome 18-inch alloy wheels. In all honesty, Chevy probably could have borrowed a few more cues from the Camaro. Nobody would have complained, and in a contest of looks with the very popular new Ford Fusion, it would have fared better. The body will be revised for 2014, but it’s not a huge change. Overall, the Malibu is still a good-looking car in a class that typically pretty boring as far as styling goes. 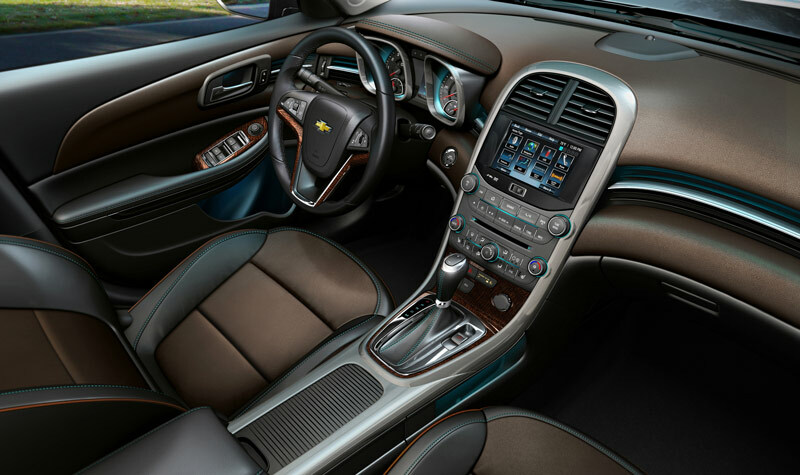 On the inside, the Malibu takes advantage of those extra inches of width on the outside by offering four more cubic feet of interior room than the last model. There is clearly, then, plenty of room in both the front and back seats, as well as several handy storage areas throughout the car. The cockpit, meanwhile, is a great place to be. Especially with the better-finished 2LZ trim and the soft blue ambient lighting, and it’s infinitely better than the previous model. The leather seats are comfortable, the multi-tiered dashboard doesn’t look cheap, and the MyLink screen, the infotainment system we’ve already decided we really like, integrates seamlessly with the oval center stack. The leather-wrapped, faux wood-trimmed steering wheel is also pretty nice to look at, as are the simple but effective square pods over the gauges. Our test car, thankfully, had the 259 horsepower 2.0 liter turbo, a welcome leap over the 197 horsepower 2.5 liter I-4. It’s the least efficient motor in the Malibu range, but it still gets a respectable 30 miles per gallon on the highway, and really just makes driving a much more enjoyable experience, even on longer trips. With 260 lb/ft of torque coming in at 1,700 rpm, it pulls harder than you’d expect from a family-oriented sedan, but it’s tractable and really smooth. As is common practice, the suspension on the 2013 Malibu is by MacPherson strut up front and multi-link arrangements in the rear. Power steering is electronic and continuously variable, so it’s not vague at high speeds. The steering isn’t exactly sharp, either, but then again neither is the steering on any midsize sedan. Brakes, on the other hand, are very good with 11.7-inch vented discs up front and 11.5-inch solid discs on the rear that can haul the 3,600 pound sedan down really smoothly. We covered a lot of highway miles in the Malibu and found it to be a great companion for our weekend away. We quickly found the cruise control, as a speeding ticket was imminent with the comfortable, effortless speed found. While we didn’t find an opportunity to tax the suspension very hard, perhaps that was due to its overall nature. Unlike a tightly wound car, the 2LZ doesn’t ask much from the driver and that’s just fine. Just get in and go. In the jam-packed and competitive midsize sedan market, all of the choices are fairly similar and there isn’t really anything in the way of outliers anymore. That’s partly because no one is buying one of these cars because they’ve fallen in love with it. They’re all offering a blend of style, sport and practicality, and that blend is largely the same. All things considered, then, the choice comes down to how you feel about the looks and what it’s like to drive. With looks, the Malibu is a strong contender in its class, although the Ford Fusion arguably takes the cake. In terms of drivability, the Malibu is also a pretty good choice, especially with that great 2.0 liter turbo. Loaded up with the 2LZ and LTZ packages the Malibu feels more exclusive than you might think, but for overall value at a similar price the surprisingly good Hyundai Azera remains a tempting choice. Still, a nicely loaded Malibu is a car that might just have some midsize sedan customers finding themselves proud to be buying American again. 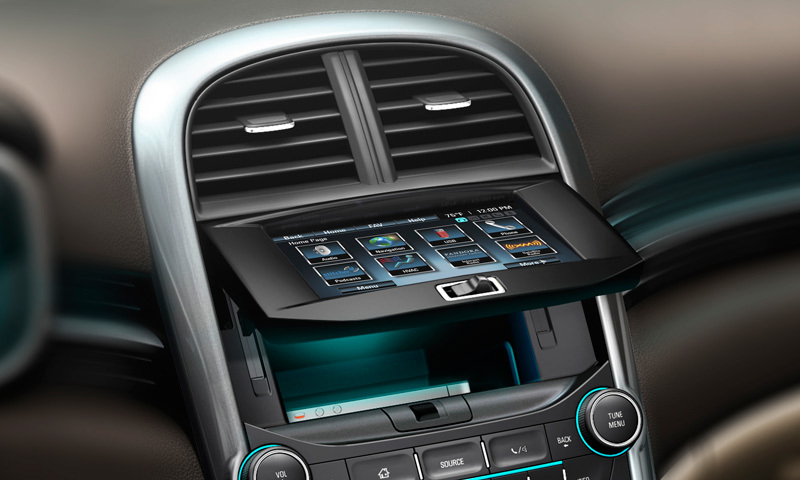 Fusion has it beat in front end appearance – very cool and more expensive looking.